Biotechnology relies on living systems or organisms to develop and advance our modern industry. Unfortunately, the delicate nature of this field makes it difficult for labs, pharmaceutical companies, and even bakeries to create a sterile environment for production. Medical standards mandate precision in every aspect of your biotech business, requiring sterile environments that are inert and easy to maintain. Bacteria and enzymes rely on hygienic practices for consistency and safety, both of which can be achieved with epoxy flooring. PPI Flooring of Orlando is here to provide the best floor systems across numerous industries. Our team has nearly 30 years of experience, and we will be able to work with you to achieve the best results for your biotech needs. Today, we’ll discuss a few demands of the biotechnology industry, as well as the advantages of our epoxy floor coating services. If you’re ready for your no-obligation estimate, be sure to call us now! Cleanliness is vital for creating a safe environment for biotech advancements. If your facility has to deal with any setbacks in terms of sterility, it can prove costly and time consuming to try and repeat your results. The biotech field relies on floor systems that are pristine and clean to avoid any contamination problems. Moisture infiltration can lead to a number of problems for labs, clean rooms, storage rooms, and more, contaminating samples and costing companies thousands of dollars. Most storage containers will be placed upon the floor, necessitating your need for a clean floor that meets all industry requirements. PPI Flooring can deliver ideal results for nearly every application, so be sure to call us to see how we can help! Vinyl clean room flooring has been a top choice for industry experts across the globe, as it delivers beneficial support and protection in an anti-static design. Available in tiles or sheets, this biotech floor solution can provide the support needed to meet ISO standards. 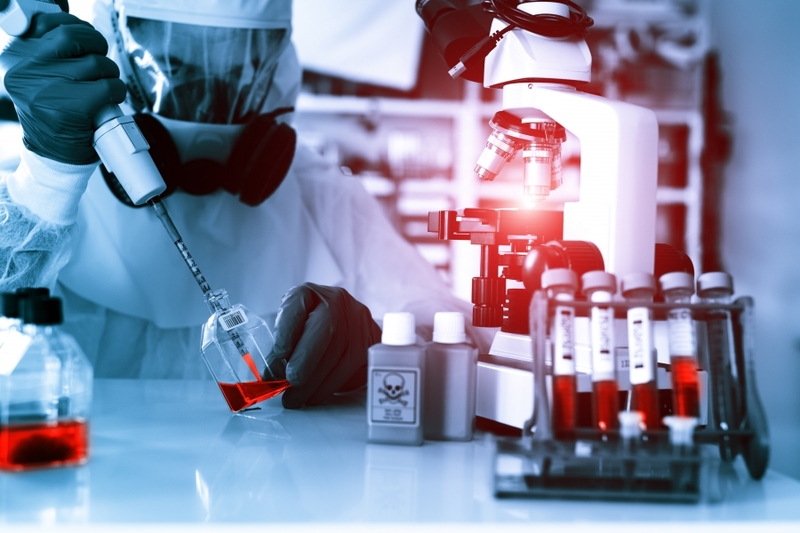 However, many biotech facilities across the country are discovering that specialty epoxy flooring can deliver an ideal level of protection and control in a clean, seamless manner. Achieving the most sterile clean room for your facility can be difficult to achieve, but the team at PPI Flooring is here to help. Our experts have experience in this exacting field, and will be able to work with you to find ideal solutions to maximize the effectiveness of your facility while minimizing the dangers associated with faulty floor systems. The Food and Drug Administration (FDA) regulates strict guidelines to ensure that the best practices are being adhered to for biotech agencies across numerous industries. Seamless epoxy flooring solutions rely on self-leveling attributes to create a surface that resists contamination and debris, reducing sanitation concerns while also creating an ideal system for easy maintenance. Beyond being highly hygienic, epoxy floors can also be tailored to serve as an electrostatic discharge (ESD) system. In environments with fragile electronics, sensitive magnetic devices, or flammable materials can all be at risk for damages if an electrostatic charge is created. ESD floors combine epoxy with carbon fibers that help to transfer the charge from an individual to the flooring beneath. PPI Flooring has the experience and equipment to provide a safe environment for precision work of all types. Regardless of the delicacy of your flooring demands, our contractors will be able to assist with new or existing concrete slabs. In workplaces where hazardous chemicals are common, it is beneficial to seek out a concrete flooring solution that optimizes safety. Epoxy floor coatings can be personalized to minimize the risk of slips and falls, enhancing your building while retaining all of the other advantages associated with this top-notch material. 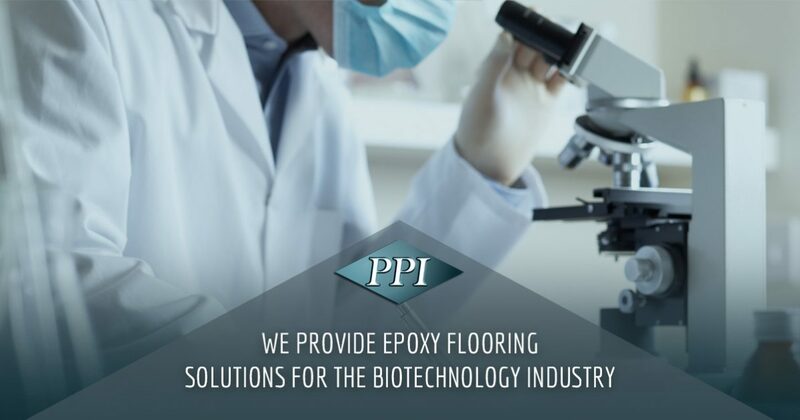 PPI Flooring has experience in the biotechnology industry, and will be able to work with you to create a system that perfectly matches your goals in a cost-effective manner. Our team prides itself on delivering top-notch results, and can provide the best epoxy flooring to Orlando labs and beyond. In order to achieve the precision required by laboratories and clean rooms, it is vital to find a flooring company that has a history of achieving the right outcome. Our epoxy flooring contractors rely on precise practices to provide the best result for your building, from the consultation phase to preparations, installation, and beyond. You can reach out to our team to learn more about our comprehensive solutions for every application. 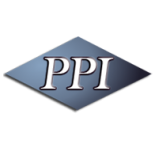 PPI Flooring can provide ideal outcomes for a variety of floor systems, and will be happy to discuss the standards and requirements of your facility. Be sure to ask for your free estimate when you contact us today!